Erik Kluna (855) 491-9057 21027 Interstate 45 North Spring Texas 77388 ? ? ? ? 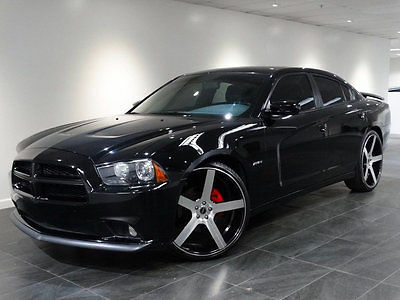 2015 Dodge Charger Sedan R/T ? ? ? ? 1 of 24 ? View Large Images ? ? Vehicle Information VIN: 2C3CDXCT7FH895964 Stock: FH895964 Mileage: 10,104 Color: Granite Crystal Metallic Clearcoat Trans: Automatic Engine: 5.7L 8 Cylinder Engine MPG: 16 City / 25 Highway Drivetrain: Rear Wheel Drive ?Directions to Dealer ?Contact Us Certified Pre-Owned Dodge Ask Your Dealer For Details View Details Why Buy From Us? Our pre-owned vehicles are backed by a 3-day, 150-mile Money-Back Guarantee. If for whatever reason you decide to return your vehicle, we’ll refund your money, no questions asked. It is just the peace-of-mind you would expect from America’s Largest Automotive Retailer. Description BLACK; PERFORMANCE SUEDE/LEATHER SEATS,ENGINE: 5.7L V8 HEMI MDS VVT,GRANITE CRYSTAL METALLIC CLEARCOAT This vehicle is Worry-Free. It includes Money-Back Guarantee and passed our inspection process. Best of all the price you see is the price you pay. No haggling. No back and forth. No pressure. And this price is so good it is guaranteed. Now that's Worry-Free. 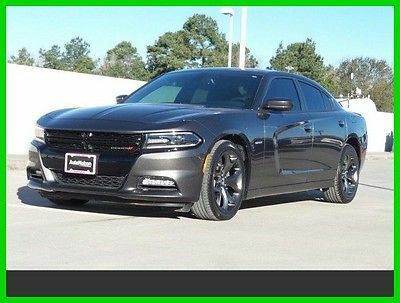 This 2015 Dodge Charger RT is offered to you for sale by AutoNation Chrysler Dodge Jeep Ram Spring. This Dodge includes: ENGINE: 5.7L V8 HEMI MDS VVT (STD) *Note - For third party subscriptions or services, please contact the dealer for more information. * CARFAX BuyBack Guarantee is reassurance that any major issues with this vehicle will show on CARFAX report. 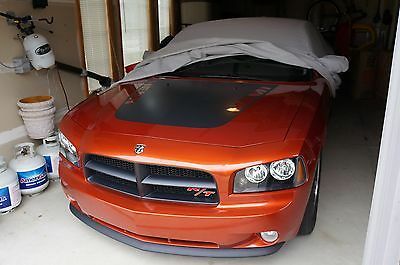 There is no reason why you shouldn't buy this Dodge Charger RT. It is incomparable for the price and quality. 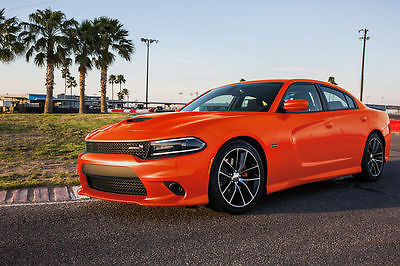 More information about the 2015 Dodge Charger: The Dodge Charger is a full-size sedan, offering strong V6 and V8 engines, along with rear-wheel drive or all-wheel drive on select V6 models. 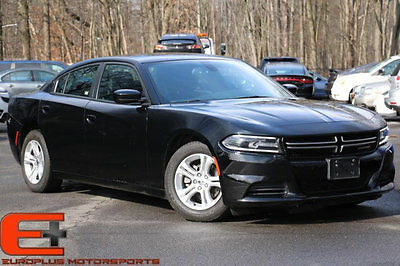 Chrysler claims that the Charger's all-wheel-drive system is the most advanced system offered in its class, as it completely disconnects the front wheels when not needed. Styling has always been a big part of the Charger's appeal, and while it relied on a retro-muscle look for years, a complete redesign gives it a much more look while still setting it apart from the crowd. 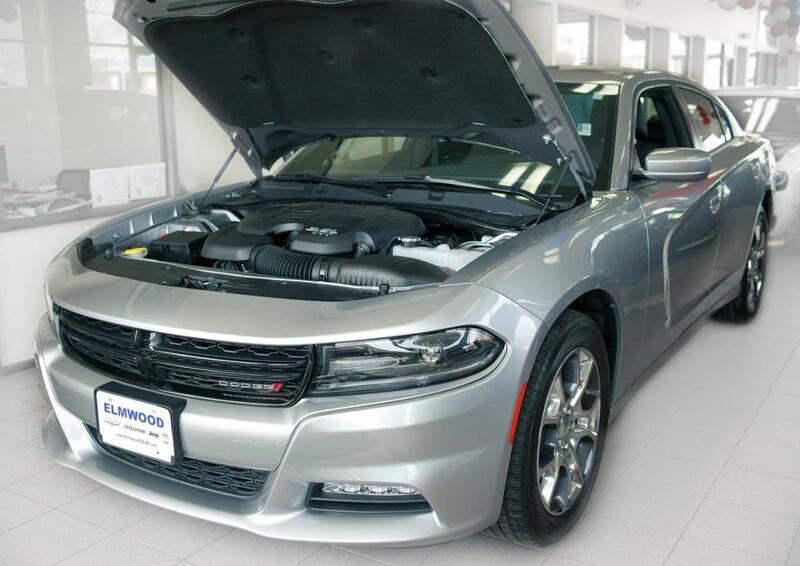 Charger SE and SXT V6 models return a best-in-class 31 mpg on the highway, while performance-oriented R/T and SRT models are phenomenally athletic. On another level is the Hellcat the car rivals most supercars, with 0?60mph coming in just 3.7 seconds and a top speed of 204 mph. 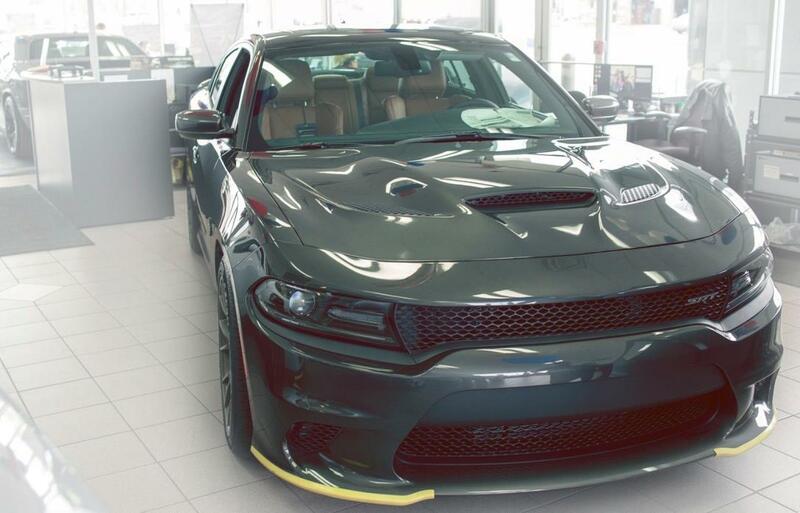 Strengths of this model include Fresh design, modern safety features, wide range of models, available all-wheel drive, good gas mileage for V6 models, and supercar performance from SRT Hellcat Over 43 Million Happy Customers have trusted us when buying or servicing their cars and trucks. That''s more than any other automotive retailer. Since AutoNation is America''s Largest Automotive Retailer, we hold ourselves to higher standards. That''s why we offer processes and guarantees you won''t find anywhere else. Some used vehicles may have unrepaired safety s. You can check status by VIN at https://www.safercar.gov Options Options ? Black; Performance Suede/Leather Seats ? Engine: 5.7L V8 Hemi Mds Vvt ? Granite Crystal Metallic Clearcoat Standard Features Basic Information Stock Number: FH895964 VIN Number: 2C3CDXCT7FH895964 Style Name: Sedan R/T Make: Dodge Model: Charger Model Year: 2015 Vehicle Type: Sedan Vehicle Trim: Road/Track Exterior Color: Granite Crystal Metallic Clearcoat Body Type: Sedan Interior Color: Black Engine MPG Automatic City: 16 MPG Automatic Highway: 25 Engine Description: 5.7L 8 Cylinder Engine Fuel Type: Gas Fuel Induction: Sequential MPI Valves Per Cylinder: 2 Aspiration: Normal DriveTrain Driven Wheels: Rear-Wheel Transmission: Automatic Wheels Rims: Painted Aluminum Wheels Spare Rim Type: Steel Drive Train Type: Rear Wheel Drive Suspension Independent Suspension: Four-Wheel Stabilizer Bar: Front And Rear Instrumentation Clock Compass External Temp Low Fuel Level Tachometer Trip Computer Roof and Glass Front Wipers: Variable Intermittent Privacy Glass: Light Rear Defogger In Car Entertainment Antenna Type: Window Grid Audio System: Siriusxm AM/FM/Satellite Speakers: 6 Seats Drivers: Multi-Level Heating Drivers Height: Power Drivers Lumbar: Power 4-Way Drivers Power: 8 Passenger: Multi-Level Heating Seating Capacity: 5 Front Seat Type: Sport Upholstery: Cloth Center Armrest Folding: Fold Forward Seatback Convenience Cargo Nets: Cargo Net Center Console: Full With Covered Storage Cruise Control Cupholders: Front And Rear Door Pockets: Driver, Passenger And Rear Overhead Console: Mini With Storage Power Outlets: 2 Remote Trunk Release: Power Seatback Storage: 2 Steering Adjustment: Tilt And Telescopic Steering Power: Electric Power Steering Universal Remote Transmitter Power Mirrors: Power Remote Power Door Locks Windows: Power Windows Comfort Air Conditioning: Automatic Air Filtration: Interior Air Filtration Trunk Lights: Cargo Area Light Center Console Trim: Aluminum Dash Trim: Aluminum Mats: Carpet Front And Rear Reading Lights: Front And Rear Shift Knob: Leather Steering Wheel Trim: Leather/Metal-Look Vanity Mirrors: Dual Illuminated Vanity Mirrors Features Bumpers: Body-Colored Door Reinforcement: Side-Impact Door Beam Engine Hour Meter Safety Turning Circle: 37.6 ABS: 4-Wheel Head Airbags: Curtain 1St And 2Nd Row Brake Assist: Braking Assist Safety Locks: Manual Daytime Running Light Engine Immobilizer Headlights Auto Delay: Auto Delay Off Headlights Dusksensor: Dusk Sensing Front Headrests: Manual Adjustable Rear Headrests: 3 Rear Center Seatbelt: 3-Point Belt Safety Stability Control Driver and Passenger Airbag Side Airbag Stability Control Door Reinforcement: Side-Impact Door Beam Doors Rear Door Type: Trunk Side Door Type: Conventional Dimensions Front Head Room: 38.6 Inches Front Hip Room: 56.2 Inches Front Shoulder Room: 59.5 Inches Front Leg Room: 41.8 Inches Rear Head Room: 36.6 Inches Rear Hip Room: 56.1 Inches Rear Leg Room: 40.1 Inches Rear Shoulder Room: 57.9 Inches Luggage Capacity: 16 Cu.Ft. Length: 198.4 Inches Width: 75.0 Inches Height: 58.2 Inches Wheelbase: 120.2 Inches Ground Clearance: 5.4 Inches Max Gross Vehicle Weight: 5,300 Lbs. Curb Weight: 4,264 Lbs. Contact AutoNation Chrysler Dodge Jeep Ram - Spring 21027 Interstate 45 North Spring Texas 77388 View Map Ask for:Erik Kluna Contact: ?Contact Us Main:(855) 491-9057 Hours Mon-Sat:09:00am-09:00pm CST Sunday:Closed CARFAX Vehicle History Report VEHICLE HISTORY REPORTS Dont buy a used car without CARFAX! ?CARFAX 1-Owner ?Vehicle Qualifies for the CARFAX Buyback Guarantee ?No Total Loss Reported to CARFAX ?No Structural/Frame Damage Reported to CARFAX ?No Airbag Deployment Reported to CARFAX ?No Indication of an Odometer Rollback ?No Accidents / Damage Reported to CARFAX ?No Manufacturer Recalls Reported to CARFAX View Free History Report Disclaimer: Not all accidents or other issues are reported to CARFAX. The number of owners is estimated. See the full CARFAX Report for additional information and glossary of terms. About Us Terms Placing a Bid: Your bid constitutes a legally binding contract to purchase this vehicle. Please do not bid if you're not seriously interested or financially able to purchase this vehicle. Please read eBay's User Agreement AutoNation Chrysler Dodge Jeep Ram Spring reserves the right to, Obtain and verify the registered information of all users who bid on this auction. Cancel any and all bids at our discretion, or end the auction early if necessary.Bidders Age: You must be 18 years of age or older to Bid. Special eBay Bid Retraction Rules: Please read eBay's "Retracting a Bid" If you place a bid before the last 12-hour period of the auction: You may retract that bid before that last 12-hour period but only for exceptional circumstances. You will not be allowed to retract that bid during the last 12-hour period of the auction.If you place a bid during the last 12-hour period of the auction: You will be allowed to retract the bid for exceptional circumstances but only if you do so within one hour after placing the bid.Funds & Financing: For help in arranging for a Pre-Approved loan or for any questions please e-mail or phone Erik at 832-423-8630 prior to bidding.Buyers Inspection: AutoNation Chrysler Dodge Jeep Ram Spring has done our best to disclose all information known about this vehicle for auction. AutoNation Chrysler Dodge Jeep Ram Spring welcomes a buyers inspection. If you plan to have a buyers inspection, please make sure you inspect the vehicle prior to the auction ending. Inspection fees if any are Buyers responsibility. Representations and Warranties made by seller: This vehicle is being sold "as is". Manufacturers warranties may still apply. Extended warranty may be available, e-mail or phone Erik at 832-423-8630 for details. No representations or warranties are made by seller, nor are any representations or warranties relied upon by bidders in making bids. Taxes and Registration fees: Out of state buyers are responsible for all state, county, city taxes and fees, as well as title service fees in the state that the vehicle will be registered. All taxes and fees must be paid in full in order for vehicle to be titled and registered. Title Information: Vehicles titles may be held by banks or lenders as collateral for loans. In many cases there is a delay in receiving the original instruments up to 21 days from the time we pay a vehicle off. While we usually have all titles in our possession at closing, there are occasions where we may be waiting for them to arrive. If payment is made by cashier's or personal checks we will hold all titles for 10 days or until funds have cleared. Shipping & Delivery: All shipping charges are buyer's responsibility. AutoNation Chrysler Dodge Jeep Ram Spring will help with shipping arrangements but will not be responsible in any way for claims arising from shipping damage! Licensed Carriers are generally insured for $3,000,000.00. We assume no responsibility for damages incurred after the vehicle leaves our showroom. All shipping arrangements are provided by AutoNation Chrysler Dodge Jeep Ram Spring as a courtesy. We are not affiliated with any carrier. Any claims or other communication regarding shipment of vehicles will be between you and the shipper, not with AutoNation Chrysler Dodge Jeep Ram Spring. The amount of time it takes for delivery is dependent on the carrier, but is generally 7-14 days from the date the vehicle is picked up from our facility until it is delivered to your destination. Verify with the shipper for an Estimate Time of Arrival to be sure. Finalizing your Purchase: AutoNation Chrysler Dodge Jeep Ram Spring will contact the successful high bidder by e-mail after the auction closes. Successful high bidder MUST communicate with Erik at AutoNation Chrysler Dodge Jeep Ram Spring by e-mail or phone 832-423-8630 within 24 hours of the auction ending to make arrangements to complete their transaction. If we cannot confirm your intention to buy or the sale is not completed within 5 days, we reserve the right to relist this vehicle or sell to any other qualified buyer.In order to secure bid on vehicle, Successful bidder (BUYER) must within 24 hours of bid closing send to Seller a Deposit in the amount of 10% by major credit card, cash in person or bank certified funds. Within 72 hours of bid closing, Buyer must send balance of funds by cash in person or bank certified funds to Seller.At time of sending initial deposit, Buyer MUST fax copy of their State issued valid Driver License. Furthermore, before said vehicle is released for shipment to Buyer, all other Sale related and title related paperwork must be signed and returned complete to Seller. Disclaimers Accessories & color may vary. Dealer not responsible for errors or omissions. New vehicle pricing may already include applicable manufacturer incentives which may expire at any time & are subject to incentive qualification criteria & requirements. Manufacturer incentive data & vehicle features is provided by third parties & believed to be accurate as of the time of publication. Please contact the store by email or phone for details & availability of incentives. Sales tax or other taxes, tag, title, registration fees, government fees, not included. Dealer Documentary Fee not included in quoted price. Some used vehicles may have unrepaired safety recalls. You can check recall status by VIN, at www.safercar.gov. Money Back Guarantee, 3 days or 150 miles, whichever comes first. Subject to certain terms & conditions. See store for details. Some restrictions apply. Copyright © 2017 Auction123 - All rights reserved. - Disclaimer +- Auction123 (a service and listing/software company) and the Seller has done his/her best to disclose the equipment/condition of this vehicle/purchase. However, Auction123 disclaims any warranty as to the accuracy or to the working condition of the vehicle/equipment listed. The purchaser or prospective purchaser should verify with the Seller the accuracy of all the information listed within this ad. Selling a Vehicle? Create Professional Listings Fast and Easy. Click Here! 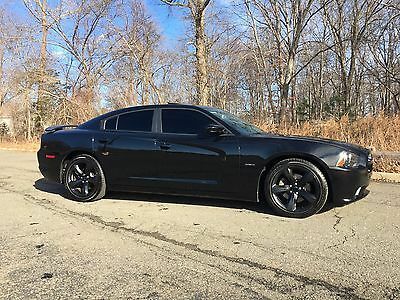 2014 Dodge Charger R/T 4k miles (like new) Hemi 5.7L Like new 4k miles with impressive 5.7L 16 valve Hemi engine with 370 hp and 395 ftlbs of torque, 5-speed shiftable automatic.Interior of vehicle is perfect. Small dent on back bumper. Any questions feel free to text 720-545-6078, thanks. Moving and don't want to go through the export process.Private seller so no sales tax in Arizona. 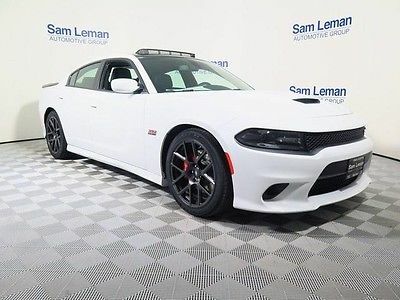 2016 Dodge Charger SRT Hellcat Sedan 707HP HEMI 6.2L Supercharged V8 Quick Order Package 23T Includes:Engine: 6.2L V8 Supercharged; 707 HP at 6000 RPM and 650 ft-lbs. at 4800 RPMTransmission: 8-Speed Automatic HP90Wheels: 20" x 9.5" Brass Monkey SRT Forged19 Harman/Kardon Greenedge Amp/SpeakersLaguna Lux Perform SRT Emboss Logo50 State Emissions Comfort:Heated Steering WheelSepia Leather InteriorCruise ControlKeyless IgnitionRear Parking SensorsRear View CameraTransmission, Cruise And Audio Controls On Steering WheelElectrochromatic Inside Rearview MirrorPower Sunroof Safety:Auto Delay Off HeadlampsBlind Spot Warning Accident Avoidance SystemBrake DryingChild Seat AnchorsDaytime Running LightsDual Front Side-Mounted AirbagsDusk Sensing HeadlampsEmergency Braking PreparationEngine ImmobilizerFront And Rear Head AirbagsPost-Collision Safety SystemStability ControlTire Pressure MonitoringTraction ControlXenon High Intensity Discharge Headlamp4-Wheel ABSEmergency Braking AssistFront And Rear Ventilated Disc BrakesPassenger Airbag Occupant Sensing DeactivationRear Door Child Safety Locks Shipping info: We have established relationships with shipping companies and can coordinate the vehicle's shipment. Purchase info:If you decide to purchase this vehicle, contact us at (877) 799-0891 or 401 438 0400 if you're local to coordinate payment with our finance office. Financing options are available. Schedule a test drive today! Elmwood Chrysler Dodge Jeep Ram 625 Taunton Ave, East Providence, RI 02914.877.799.0891 Stay connected! Chris Johnson (330) 990-6970 13134 Salem Alliance Rd Salem Ohio 44460 ? ? ? ? 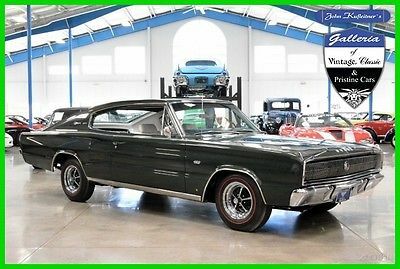 1967 Dodge Charger Vehicle Information VIN: XP29J72130387 Stock: 568P Mileage: 37,561 Color: Dark Green Trans: Automatic Engine: 426ci Hemi V8 MPG: Drivetrain: Rear Wheel Drive ? ? Description True Number Matching Gailen Govier certified Original 37K mile car Sold new at Sam Brown Dodge Salem Ohio Which is currently owned by John Kufleitner who now owns this car as part of his personal museum collection. Sold originally by John Omsler (Still Employed with our Auto Group) Original Keys from time of delivery Original Documentation including sales order, window sticker, Complete Nut and bolt no expense spared rotisserie restoration Driven Under 25 miles since completion All components are either original, NOS or restored back to new condition and Date coded This is possibly the nicest restored 67 Original Hemi Charger in the world. ?Credit Application ?Directions to Dealer ?Contact Us Options and Standard Features Options ? Front And Rear Center Consoles ? Fold Flat Rear Seats ? Front Windshield Defroster ? Am Radio ? 4 Way Power Windows ? Tachometer ? Front And Rear Safety Belts ? Chrome Bumpers ? Chrome Plated Wheels ? Us Royal Redline Tires Basic Information Stock Number: 568P VIN Number: XP29J72130387 Make: Dodge Model: Charger 426 HEMI Model Year: 1967 Exterior Color: Dark Green Interior Color: Dove White Body Type: Coupe Engine Engine Description: 426Ci Hemi V8 MPG Automatic City: 0 MPG Automatic Highway: 0 DriveTrain Transmission: Automatic Drive Train Type: Rear Wheel Drive ? Apply Now Secure Credit Application Applying for a vehicle loan online is one of the quickest and easiest application methods. Our secure application is easy to complete, all you need are a few personal and employment details. Contact JK Galleria 13134 Salem Alliance Rd Salem Ohio 44460 View Map Ask for:Chris Johnson Contact: ?Contact Us Primary Phone:(330) 990-6970 Hours Tues, Wed, Fri:09:00 AM-06:00 PM EST Mon, Thurs:09:00 AM-09:00 PM EST Saturday:09:00 AM-04:00 PM EST Sunday:Closed Terms Placing a Bid: Your bid constitutes a legally binding contract to purchase this vehicle. Please do not bid if you're not seriously interested or financially able to purchase this vehicle. Please read eBay's User AgreementJK Galleria reserves the right to, Obtain and verify the registered information of all users who bid on this auction. Cancel any and all bids at our discretion, or end the auction early if necessary.Bidders Age: You must be 18 years of age or older to Bid. Special eBay Bid Retraction Rules: Please read eBay's "Retracting a Bid" If you place a bid before the last 12-hour period of the auction: You may retract that bid before that last 12-hour period but only for exceptional circumstances. You will not be allowed to retract that bid during the last 12-hour period of the auction. If you place a bid during the last 12-hour period of the auction: You will be allowed to retract the bid for exceptional circumstances but only if you do so within one hour after placing the bid.Funds & Financing: For help in arranging for a Pre-Approved loan or for any questions please e-mail or phone Chris at(330) 990-6970 prior to bidding. Buyers Inspection: JK Galleria has done our best to disclose all information known about this vehicle for auction. JK Galleria welcomes a buyers inspection. If you plan to have a buyers inspection, please make sure you inspect the vehicle prior to the auction ending. Inspection fees if any are Buyers responsibility. Representations and Warranties made by seller: This vehicle is being sold "as is". Manufacturer's warranties may still apply. Extended warranty may be available, e-mail or phone Chris at (330) 990-6970 for details. No representations or warranties are made by seller, nor are any representations or warranties relied upon by bidders in making bids. Taxes and Registration fees: Out of state buyers are responsible for all state, county, city taxes and fees, as well as title service fees in the state that the vehicle will be registered. All taxes and fees must be paid in full in order for vehicle to be titled and registered. Title Information: Vehicles titles may be held by banks or lenders as collateral for loans. In many cases there is a delay in receiving the original instruments up to 21 days from the time we pay a vehicle off. While we usually have all titles in our possession at closing, there are occasions where we may be waiting for them to arrive. If payment is made by cashier's or personal checks we will hold all titles for 10 days or until funds have cleared. Shipping & Delivery: All shipping charges are buyer's responsibility. JK Galleria will help with shipping arrangements but will not be responsible in any way for claims arising from shipping damage!Licensed Carriers are generally insured for $3,000,000.00. We assume no responsibility for damages incurred after the vehicle leaves our showroom. All shipping arrangements are provided by JK Galleria as a courtesy. We are not affiliated with any carrier. Any claims or other communication regarding shipment of vehicles will be between you and the shipper, not with JK Galleria. The amount of time it takes for delivery is dependent on the carrier, but is generally 7-14 days from the date the vehicle is picked up from our facility until it is delivered to your destination. Verify with the shipper for an Estimate Time of Arrival to be sure. Finalizing your Purchase: JK Galleria will contact the successful high bidder by e-mail after the auction closes. Successful high bidder MUST communicate with Chris at JK Galleria by e-mail or phone(330) 990-6970 within 24 hours of the auction ending to make arrangements to complete their transaction. If we cannot confirm your intention to buy or the sale is not completed within 5 days, we reserve the right to relist this vehicle or sell to any other qualified buyer. In order to secure bid on vehicle, Successful bidder (BUYER) must within 24 hours of bid closing send to Seller a Deposit in the amount of 10% by major credit card, cash in person or bank certified funds. Within 72 hours of bid closing, Buyer must send balance of funds by cash in person or bank certified funds to Seller. At time of sending initial deposit, Buyer MUST fax copy of their State issued valid Driver License. Furthermore, before said vehicle is released for shipment to Buyer, all other Sale related and title related paperwork must be signed and returned complete to Seller. Copyright © 2017 Auction123 - All rights reserved. - Disclaimer +- Auction123 (a service and listing/software company) and the Seller has done his/her best to disclose the equipment/condition of this vehicle/purchase. However, Auction123 disclaims any warranty as to the accuracy or to the working condition of the vehicle/equipment listed. The purchaser or prospective purchaser should verify with the Seller the accuracy of all the information listed within this ad. Selling a Vehicle? Create Professional Listings Fast and Easy. Click Here! Good condition, Never abused. BUY BUY BUY! FINANCING AVAILABLE!! 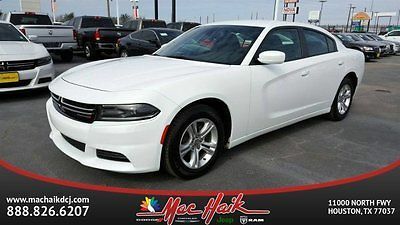 2016 Dodge Charger SXT RWD V6 Sedan Heated Cloth Seats Remote Start Navigation Backup Camera, Stock# 163046 Vehicle Information Stock: 163046 VIN: 2C3CDXHG9GH312968 Mileage: Price: $26,260.00 Trans: Automatic Engine: 3.6-Liter V6 24-Valve VVT Engine Drivetrain: RWD MSRP: $32,085.00 ? Apply Now Secure Credit Application Applying for a vehicle loan online is one of the quickest and easiest application methods. Our secure application is easy to complete, all you need are a few personal and employment details. Message We are Kernersville Chrysler Dodge Jeep Ram, also known as 31Dodge, and in 2015 we sold over 6000 vehicles via eBay across the USA from our small hometown of Kernersville, North Carolina. We were awarded #1 Ram Truck Dealer in the Southeast two years in a row and third in US sales. As a large volume dealer we can offer you the lowest pricing in the Southeast on used vehicles and some of the best deals on new vehicles. Call our eBay Hotline to get approved today or get cash for your vehicle! Description *********************************************************************************** Note: Do you own a business? Business owners may qualify for extra rebates. Give us a call today to see if you qualify! Please call on our eBay Sales Hotline: (888)-626-0383 for more colors, trims, vehicles and Dealer rebates. *********************************************************************************** When calling or emailing, please reference stock number 163046. On new vehicles we offer free shipping up to 300 miles and competitive rates on shipping outside that range with our professional in-house shippers! Request a shipping quote. Alternatively, we also offer a $500 credit good towards your preferred shipper or towards one airfare ticket to our dealership so you can pick up your vehicle in person and drive it home! Read more on this below. We stock over 1500 vehicles in inventory and can find the right vehicle at the right price for you! Our in-house shippers offer highly competitive shipping rates to all four corners of the US. 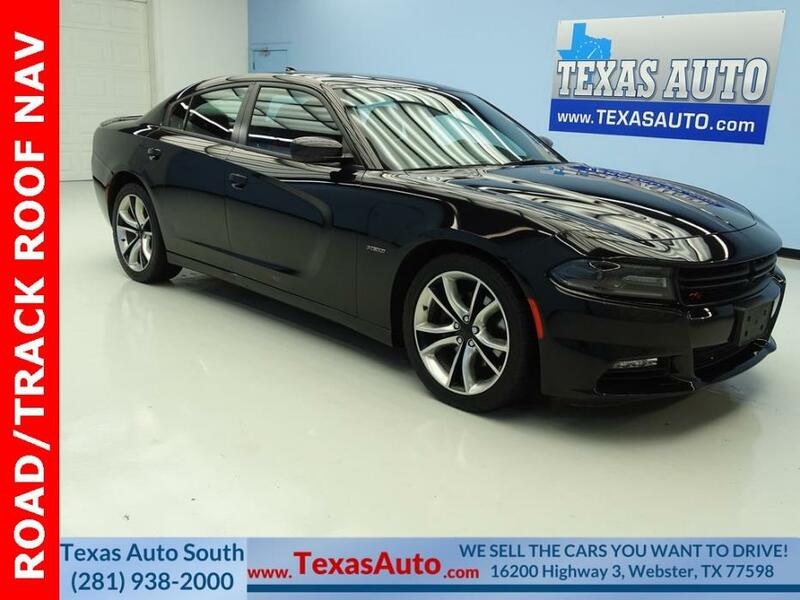 MORE ABOUT THIS 2016 Dodge Charger SXT Sedan NAVIGATION! 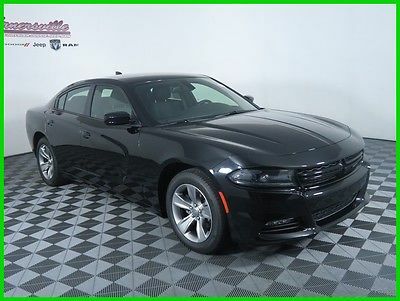 This 2016 CHARGER SXT includes the following features: Package: 29H, Engine: 3.6-Liter V6 24-Valve VVT Engine, Transmission: TorqueFlite 8-Speed Automatic Transmission, Interior: Cloth Sport Seat, Remote Start System, Heated Front Seats, 6 Premium Speakers, SD Card, USB, and Aux Ports, As well as the following options: Uconnect 8.4 inch Touch Screen with Navigation, Rear Back-Up Camera, and much more! Please check the window sticker for a complete list of equipment. Kernersville Chrysler Dodge Jeep Ram in Kernersville, NC is located in the heart of North Carolina between Charlotte, NC and Raleigh, NC. We specialize in NO hassle out of state purchases; we process your taxes, tags and title work for the city and state where the vehicle will be registered. RETURN TO TOP View the window sticker. WHY BUY ONLINE? We sell over 500 vehicles per month and eighty percent of those vehicles are sold online, with customers never having to step foot inside our dealership! Our professional internet staff is available to assist you with any question or part of the process from start to end. Buying online with us provides convenience and more selection of vehicles at the right price for you. WE HAVE THE BEST PRICES IN THE MARKET! All of our new vehicles include savings and dealer holdback (hidden profit) that are passed on down to you. The price listed includes everything except taxes, tags, and our documentation fee - more on that below. 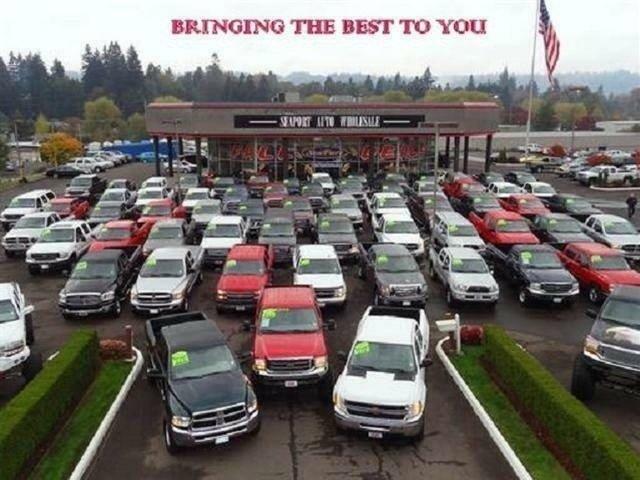 We sell cars all over the world because our prices are the best! GREAT SHIPPING DEALS! On new vehicles we offer free shipping and trade-in pick up within 250 miles from our location in Kernersville, NC. Alternatively, we offer complimentary airfare up to $500 USD and free shuttle pick up at Greensboro, Charlotte, or Raleigh airports. Give us a call to schedule your trip or get a free shipping quote. FINANCING AVAILABLE! When it comes to financing we can normally meet or beat the rate you have (WAC). Give us a try; we are a full service dealer, and we deal with over 40 lenders and do all the heavy work for you. If you finance with us, we will collect all taxes and tags in your State and complete all the paper work for you. You can find our secure application here: finance application. TRADE-IN OFFERS OVER THE PHONE! Give us call to obtain a Site Unseen Trade-in Appraisal and we'll make you an offer over the phone. Make sure to have all basic information regarding your vehicle ready for our internet consultant such as VIN number and condition of the interior and exterior, including tire tread and vehicles history. MORE ABOUT US We are located in the heart of the Triad, between Greensboro, Winston-Salem, and High Point. We sell most of our vehicles online and are proudly the LARGEST heavy-duty truck dealer east of the Mississippi. We have a large inventory and it refreshes from week to week. We have an internet team dedicated to just our online customers and all of their needs. Our Internet team is available Monday-Friday 9AM-8PM EST and Saturday 9AM-6PM EST. If you reach us after hours we will return your call and email promptly on the next business day. We look forward to making you a part of our family! REVIEW ALL TERMS For all new vehicles we will collect all taxes and tags applicable for your State. All taxes and fees must be paid in full in order for vehicle to be titled and registered. We are required to charge ALL customers a documentation fee of $599.50. Please review the Terms of Sale before placing your bid or making an offer. While every reasonable effort is made to ensure the accuracy of this listing, we are not responsible for any errors or omissions contained on this page. Please verify any information in question with Kernersville Chrysler Dodge Jeep Ram prior to bidding! CARFAX Vehicle History Report VEHICLE HISTORY REPORTS Dont buy a used car without CARFAX! ?Vehicle Qualifies for the CARFAX Buyback Guarantee ?No Total Loss Reported to CARFAX ?No Structural/Frame Damage Reported to CARFAX ?No Airbag Deployment Reported to CARFAX ?No Indication of an Odometer Rollback ?No Accidents / Damage Reported to CARFAX ?No Manufacturer Recalls Reported to CARFAX View Free History Report Disclaimer: Not all accidents or other issues are reported to CARFAX. The number of owners is estimated. See the full CARFAX Report for additional information and glossary of terms. ? ? Terms The information in this listing, including incentives/specials, shipping rates/deals, airline deals, etc. may be subject to change at any point in time and is different from State to State. We ask that you please give us a call or send us an email to ensure the pricing and all deals are correct as of today's date. We make every effort to update everything as soon as changes are made to present accurate information, but may experience a delay due to our sources feeding information through or other reasons out of our direct control. Listed price may also reflect pricing incentives not applicable to all customers. Reflected incentives may include Fast Start Bonus Cash, Month end Bonus Cash, Conquest Bonus Cash, Chrysler Capital Bonus Cash, Owner Loyalty, Up-Fit Bonus cash, Sub-Prime Bonus Cash, Trade-in Bonus Cash and more. We make every effort to present information that is accurate. However, it is based on data provided by the vehicle manufacturer and/or other sources and therefore exact configuration, color, specifications & accessories should be used as a guide only and are not guaranteed. We are not liable for any inaccuracies, claims or losses of any nature. Inventory is subject to prior sale and prices are subject to change without notice and cannot be combined with any other offer(s). The price for listed vehicles as equipped does not include other charges such as: License, Title, Registration Fees, State or Local Taxes, Smog Fees, Credit Investigation, Optional Credit Insurance, Physical Damage of Liability Insurance, Delivery Fees, Finance and/or Documentation Fees. Any and all differences must be addressed prior to the sale of this vehicle. Placing a Bid: Please only bid if you've had your finances pre-approved or have cash on hand. In order to reserve your vehicle it is required to leave a $500 non-refundable deposit within 24 hours of winning the auction. Please do so through Paypal and give us a call immediately. If you do not have pre-approved finances or cash in hand, please contact us FIRST as we can help you obtain financing, and put together a great deal for you. Please read eBay's User Agreement before bidding and the "Finalizing Your Purchase" section below for more information. Kernersville Chrysler Dodge Jeep Ram reserves the right to: Obtain and verify the registered information of all users who bid on this auction and cancel any and all bids at their discretion, or end the auction early if necessary. Bidders Age: You must be 18 years of age or older to Bid. eBay's Bid Retraction Rules: If you place a bid BEFORE the last 12-hour period of the auction, you may retract your bid for exceptional circumstances. If you place a bid during the last 12-hour period of the auction: You will be allowed to retract the bid for exceptional circumstances but only if you do so within one hour after placing the bid. For detailed information on this eBay policy, please read: eBay's "Retracting a Bid" policy on their website. Funds & Financing: For help in arranging a Pre-Approved loan or for any questions please e-mail or call us at 888-626-0383 prior to bidding. Buyers Inspection: Kernersville Chrysler Dodge Jeep Ram has done it's best to disclose all information known about this vehicle for auction. Kernersville Chrysler Dodge Jeep Ram welcomes a buyers inspection. If you plan to have a buyers inspection, please make sure you inspect the vehicle prior to the auction ending and notify us of date/time of the inspection. Inspection fees, if any, are Buyers responsibility. Representations and Warranties made by seller: This vehicle is being sold "as is". Manufacturers warranties may still apply. Extended warranty may be available, e-mail or call us at 888-626-0383 for details. No representations or warranties are made by seller, nor are any representations or warranties relied upon by bidders in making any bids Taxes, Registration and Administrative fees: Used vehicles: Out of state buyers are responsible for all State, county, and city taxes and fees, as well as title service fees in the State that the vehicle will be registered in. New vehicles: We collect all State, county, and city taxes and fees, as well as title service fees on New vehicles. All taxes and fees must be paid in full in order for vehicle to be titled and registered. All Vehicles: We are required to charge ALL customers our Administration fee of $599.50. Title Information: Vehicles titles may be held by banks or lenders as collateral for loans. In many cases there is a delay in receiving the original instruments up to 21 days from the time we pay a vehicle off. While we usually have all titles in our possession at closing, there are occasions where we may be waiting for them to arrive. If payment is made by cashier's or personal checks, we will hold all titles for 10 days or until funds have cleared. Shipping & Delivery: All shipping charges are buyer's responsibility. Kernersville Chrysler Dodge Jeep Ram will help with shipping arrangements but will not be responsible in any way for claims arising from shipping damage. Licensed Carriers are generally insured for $3,000,000.00. We assume no responsibility for damages incurred after the vehicle leaves our showroom. All shipping arrangements are provided by Kernersville Chrysler Dodge Jeep Ram as a courtesy. We are not affiliated with any carrier. Any claims or other communication regarding shipment of vehicles will be between you and the shipper, not with Kernersville Chrysler Dodge Jeep Ram. The amount of time it takes for delivery is dependent on the carrier, but is generally 7-14 days from the date the vehicle is picked up from our facility until it is delivered to your destination. Verify with the shipper for an Estimate Time of Arrival to be sure. Finalizing your Purchase: Successful high bidder MUST communicate with Kernersville Chrysler Dodge Jeep Ram by e-mail or phone 888-626-0383 within 24 hours of the auction ending to make arrangements to complete their transaction. If we cannot confirm your intention to buy or the sale is not completed within 5 days, we reserve the right to relist this vehicle or sell to any other qualified buyer. In order to secure bid on vehicle, successful bidder (BUYER) must send to Seller a Non-refundable Deposit in the amount of $500 by major credit card, cash (in person), bank certified funds or Paypal within 24 hours of bid closing. Within 72 hours of bid closing, Buyer must send remainder balance of funds by bank wire transfer, cash (in person), or bank certified funds to Seller. At time of sending initial deposit, Buyer MUST fax copy of their State issued valid Driver License and contact dealer. Furthermore, before said vehicle is released for shipment to Buyer, all other Sale related and title related paperwork must be signed and returned complete to Seller. Copyright © 2017 Auction123 - All rights reserved. - Disclaimer +- Auction123 (a service and listing/software company) and the Seller has done his/her best to disclose the equipment/condition of this vehicle/purchase. However, Auction123 disclaims any warranty as to the accuracy or to the working condition of the vehicle/equipment listed. The purchaser or prospective purchaser should verify with the Seller the accuracy of all the information listed within this ad. Selling a Vehicle? Create Professional Listings Fast and Easy. Click Here! This is a great car. I travel in my local 4-state area for business, so it has 168k highway miles. I am the only owner. The worst thing about the car is that the back-up camera rarely works. It's a $400 - 500 item to repair. Selling as-is with no warranty. 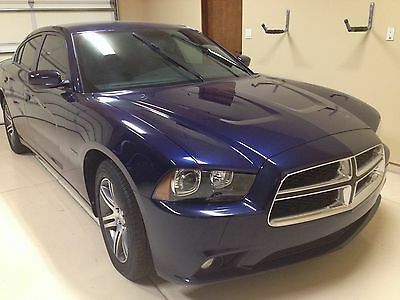 2015 Dodge Charger SXT 4-Door Sedan 3.6 Liter 6 Cylinder Engine with AWD Vehicle Options Include:AWD Plus GroupAuto Adjust In Reverse Exterior MirrorsAuto Dim Exterior Driver MirrorBi-Function HID Projector Head LampsDriver & Passenger Lower LED LampsFront Overhead LED LightingHeated 2nd Row SeatsHeated Steering WheelIlluminated Rear CupholdersParkSense Rear Park Assist SystemParkView Rear Back-Up CameraPower Front Driver/Passenger SeatsPower Heated Memory Mirrors w/Man F/AwayRadio/Driver Seat/Mirrors MemorySecurity AlarmSport Leather Seats w/Met. AccentsVentilated Front Seats Shipping info: We have established relationships with shipping companies and can coordinate the vehicle's shipment. Purchase info:If you decide to purchase this vehicle, contact us at (877) 799-0891 or 401 438 0400 if you're local to coordinate payment with our finance office. Financing options are available. Schedule a test drive today! Elmwood Chrysler Dodge Jeep Ram 625 Taunton Ave, East Providence, RI 02914.877.799.0891 Stay connected! Beautiful one of a kind car loaded with every option. Excellent condition, no exterior or interior damage. Zero mechanical problems. -Heated Front Seats-Heated Back Seats-Heated Steering Wheel-Satellite Navigation/MP3/USB/SD/DISC/AM/FM/XM -Remote Start-Backup Camera-Power Adjustable Front Seats-Leather Interior-Power Moon-roof-Rear Spoiler-Automatic Windows-Tinted Windows (Removeable)-Automatic Climate Controls-HID Headlights-LED Fog Lights-Interior Ambient Lighting-Dodge Floor Mats-Premium Beats Sound System with Sub Woofer (Factory Installed)-20" Wheels-Goodyear Eagle Sport Tires-Car Cover-Engine Tuner-Brakes and Tires All The Way Around Installed A Few Months Ago-Many More!Questions welcome. Full service history available with receipts, this car was very well cared for. No damage or accidents. Call or text for more info 973-934-3697. One owner, this car has never been driven in the rain or snow. It is stored every year from September to May. It is well maintained and still has the new car smell. Low mileage, only 9659. Selling as is. Serious buyer only, deposit non-refundable.